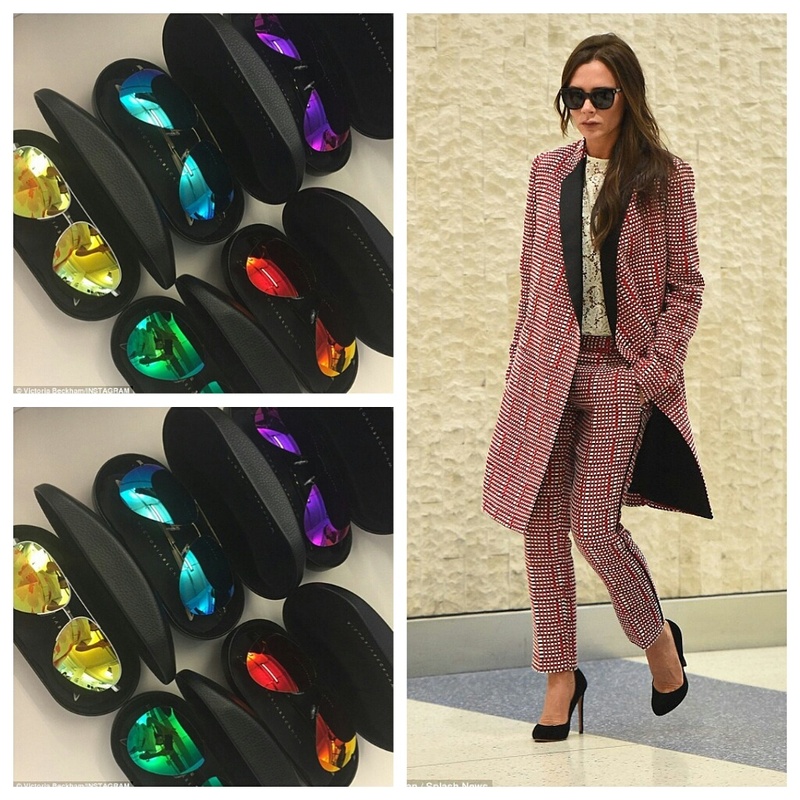 CHECHESMITHNATION : Get Inspired via Victoria Beckham's Style! The Fashionable Victoria Beckham, serves styles that can last for days,. Here we see the mother of four showing off her five different shades of mirrored aviators, while dressed in her own custom made suit paired with black heels.